Eight. Yes, eight different Marks & Spencer’s stores. That’s exactly how many stores Brian visited to find this bottle of wine for me during a recent business trip to London, England. All praise be to Brian, best (and most persistent) husband ever. I had read that some Koshu grape wines were available in England and since I am not planning any upcoming trips to Japan, this was my big chance to get some to drink here in Vancouver. Clearly others read the same article and there was a run on the Sol Lucet. This example is grown in Yamanashi prefecture – south of Tokyo and close to Mt. Fuji. Mountainous, cool, wet and stunningly beautiful, I went to nearby Odawara in 2000 and travelled to this region to visit some onsen. The Kurambon Winery makes whites out of the Koshu as well as Viognier and Chardonnay. There are reds too from Tannat, Petit Verdot and Cabernet Sauvignon to name a few. Everywhere one reads about Koshu (which is a vinifera grape that has been grown for over 1,000 years in the Yamanashi region), it’s celebrated as being perfect with Japanese cuisine. For this reason, I saved it for a sushi and sashimi dinner. Palest lemon – almost water white – with light legs, the Koshu wine is clear and has a very light intensity with aromas of citrus – lemon and lime juice – and some grapefruit rind. The back of the bottle describes the wine as having kabosu and yuzu flavours and aromas. I’ve never had either of those, so had to look them up. It seems to be true; kabosu is related to the yuzu and bitter orange and sometimes it’s used on top of fish dishes to reduce ‘fishiness’. The yuzu apparently tastes like a combination of lemon, mandarin and grapefruit and is touted as the next ‘super fruit’. The wine is dry with medium plus acidity, light alcohol and a medium minus body with light flavours of crisp asian pear. Some honey emerged when it was paired with the ginger. There was also ginger blossom, lemon and lime juice with lemongrass and a light touch of yellow grapefruit. The finish is actually surprisingly long. 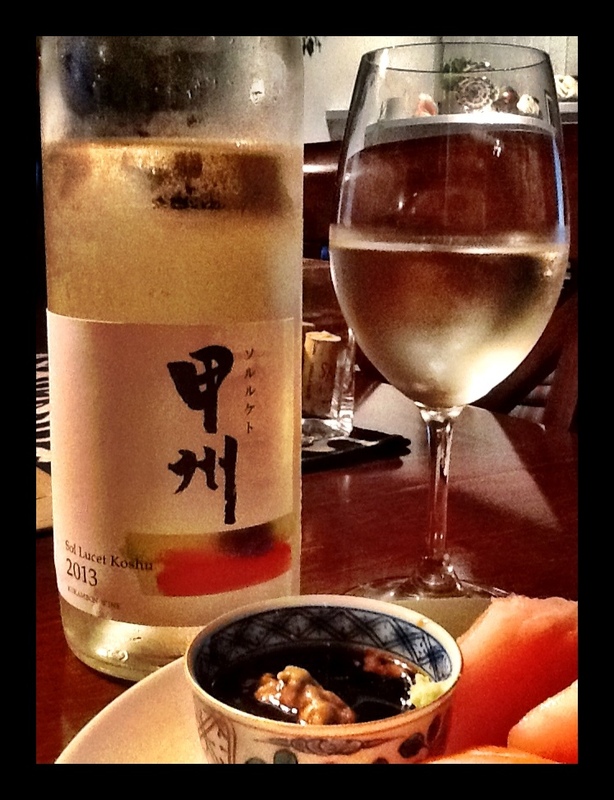 This wine was a wonderful pairing with sashimi, ginger and soy sauce with wasabi. It was clean and delicate, tasty and refreshing and completely complimented the fish. I had some the next evening with a basa fillet and salad and it disappeared. So, be forewarned; enjoy with Japanese food or at least fish-based dishes with strong spice and soy sauce. I think tempura may work well too. A solid WSET “Good” wine. There was a slight imbalance between the nose and the palate, but it was improved upon by the pairing with food and the lengthy finish. Drink now, don’t age and definitely enjoy with your next Japanese meal. Worth the trip to eight stores. 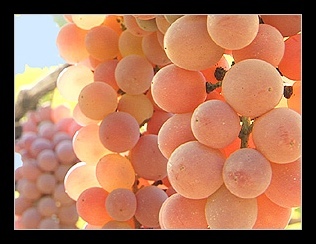 This entry was posted in WHITE and tagged Japanese wine, koshu, kurambon, White. Bookmark the permalink. A rare find indeed, wine and husband.